Toyota City is located in the northern part of Aichi Prefecture, and has the largest area of any city in the prefecture. The City of Toyota is the world leader in manufacturing. On the other hand, forests account for nearly 70% of its area, and the city has beautiful greenery, including the Yahagi River which cuts through the city center, and blessedly abundant farmland. Natural clean water makes Toyota City a perfect natural production region for not only sweetfish, rice, and sake, but also peaches and Asian pears as well. Rich and unique natural scenery attracts tourists from all over Japan, the famous autumn leaves viewing spot called Korankei Gorge, and the ""four-seasons cherry trees"" of Obara that look wonderful blooming side by side with autumn leaves. There are also hot springs located along the Yahagi River. 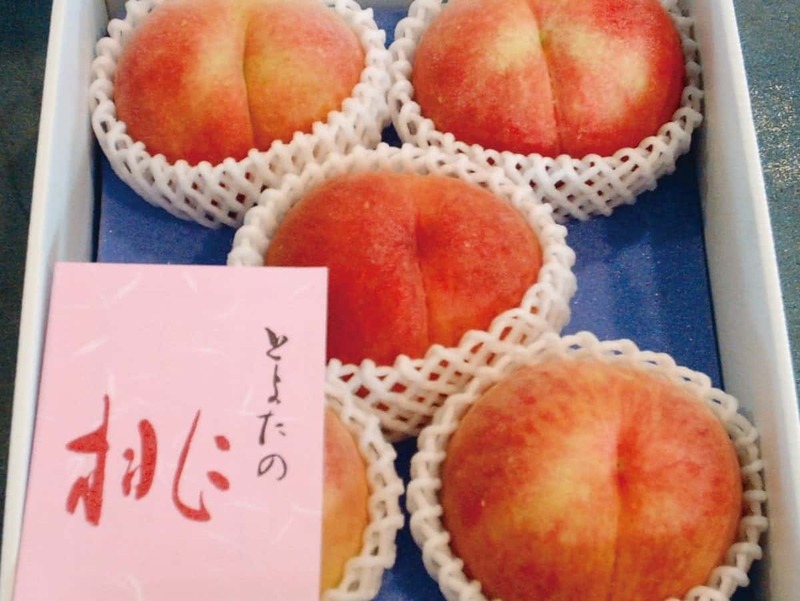 Toyota City is famous for producing peaches. The Sanage district is the center of peach production in the city, known as a "Peach Paradise", with peach flowers blanketing the area in spring. In summer, lovely peach fruit with marvelous flavor, fragrance fill up the area. Try the local peach sherbert made with plenty of peach pulp. Toyota City grows sweet, fresh, and crisp Asian pears, and boasts one of the largest production volumes in the prefecture. Many varieties are grown here, such as, Aikansui, Kousui, Housui, Niitaka, and Atago. 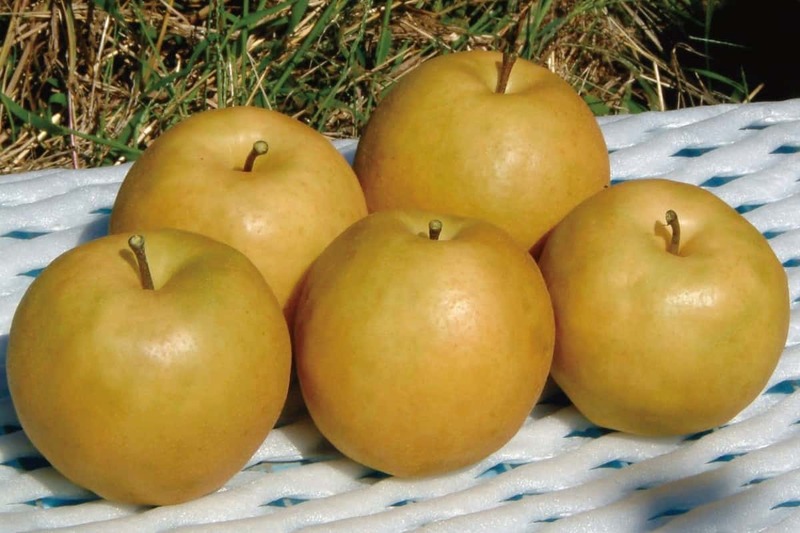 Atago, widely known as jumbo pears, were registered in the Guinness Book of World Records in 2011 as the heaviest variety of Asian pears in the world (Weight: 2.948 kg). The Yahagi River flowing through the city, and its tributary the Tomoe River, are both a Mecca for sweetfish fishing in Aichi Prefecture, and you can see many fishermen in the river, from June to October. 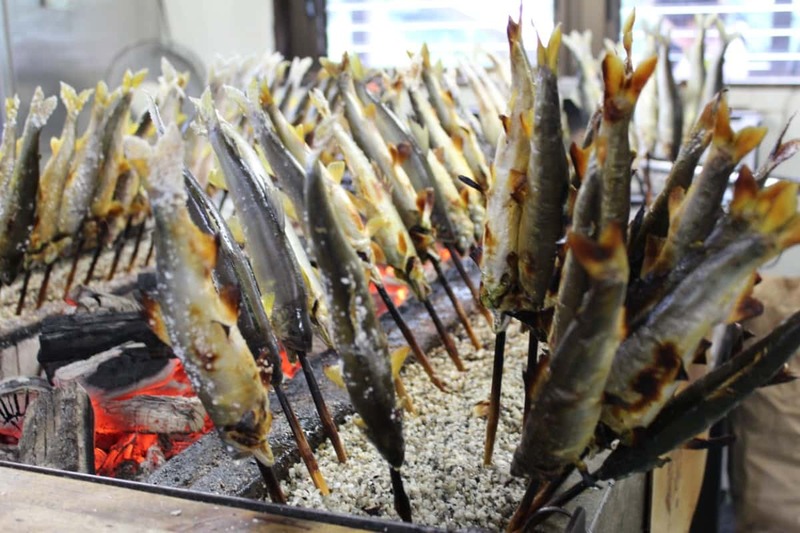 Sweetfish are cultured using the natural stream of the Yahagi River, and raw fish are processed and sold in many different styles, such as, dried, grilled, wrapped in seaweed, or salted. 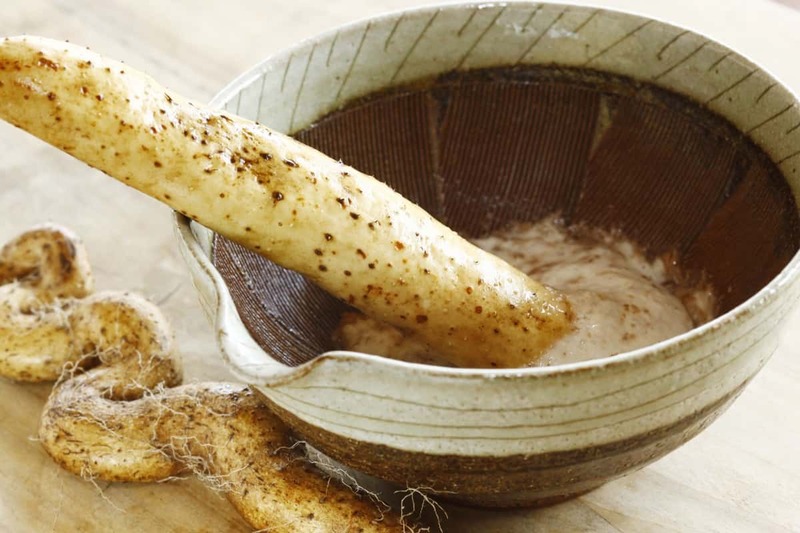 Mountainous regions of Toyota City have thriving Japanese yam agricultural industry utilizing its cool climate. "Yumetororo", a particularly sticky and fragrant variety, is the specialty of the Asahi District and has become popular for gift and souvenir. The "Japanese Yam and Maple Festival" is held every November, during the Japanese yam harvest season. Boars and deers are often harmful for farmer's fields in mountainous regions. The Asuke district has game meat processing facilities that use those hunted animals to make Shishi Stew, Shishi Franks, Shishi Gyoza, and other specialty goods. 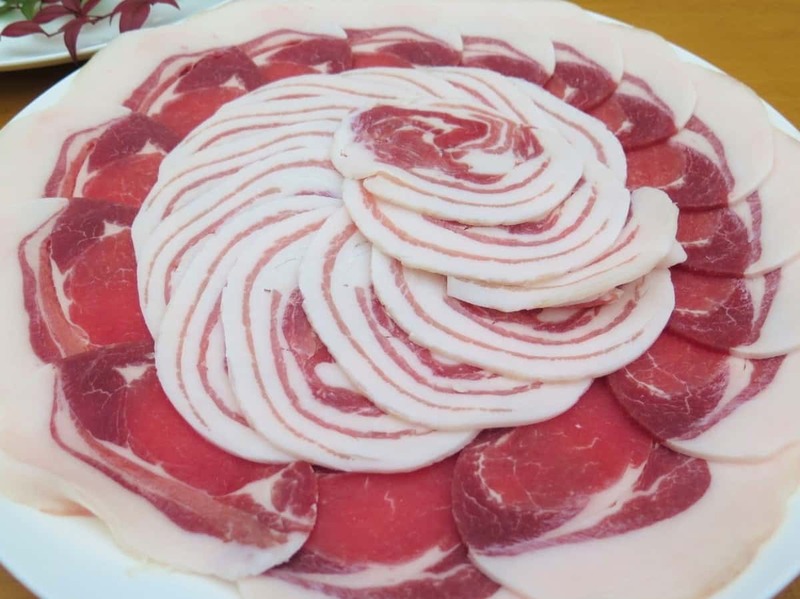 Boar meat in particular has a strong body, but is low in fat, low in calories, and high in collagen. 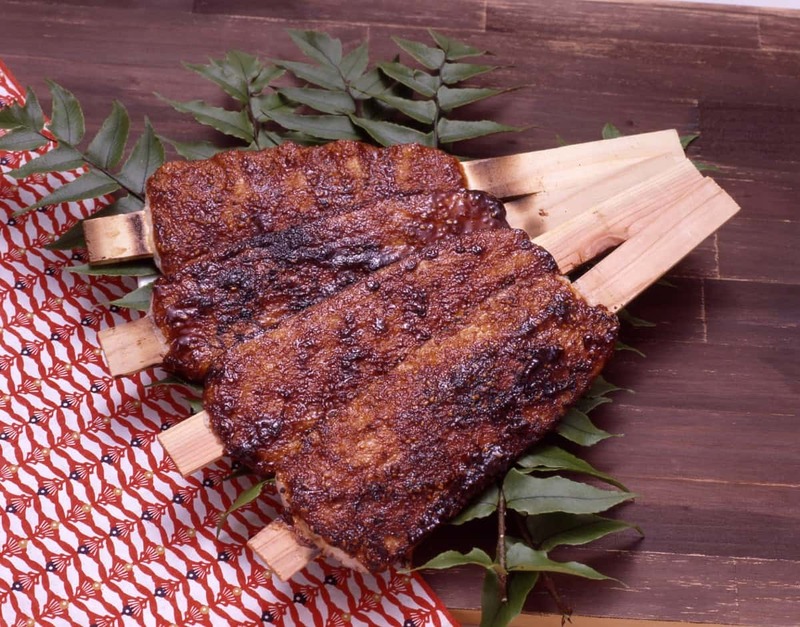 Here you can enjoy delicious wild game meat cuisine, which has garnered a lot of attention in recent years. Korankei Gorge is formed by the Tomoe River, a tributary of the Yahagi River, and it is famous for maple leaves and flowers such as dogtooth violets. Sanei Osho, 11th generation chief priest of Kojaku-ji Temple, planted the first Japanese maple tree here in 1634. Starting a trend that resulted in nearly 4,000 trees showing their autumn colors every year and making Koran Gorge one of the most famous places for maple leaf viewing in the Tokai Region. When the maple leaves turn to their best color in November, tourists come from all over Japan to visit this popular spot. Enjoy a walk through the classic townscape reminiscent of former post towns along the Asuke River. Obara Fureai Park and the neighborhing Obara Branch Office of Toyota City Hall are surrounded by nearly 300 "four seasons cherry trees". They bloom once from mid March to early April in spring, and again from late October to early December in autumn. The flowers bloom more fully in autumn than in spring, so you can enjoy the charming cherry blossoms and firey colors of the autumn leaves at the same time. As the cherry trees become full bloom from November 1st to 30th, a "Four Seasons Cherry Tree Festival" is held in this area, with Obara Fureai Park as its main venue. 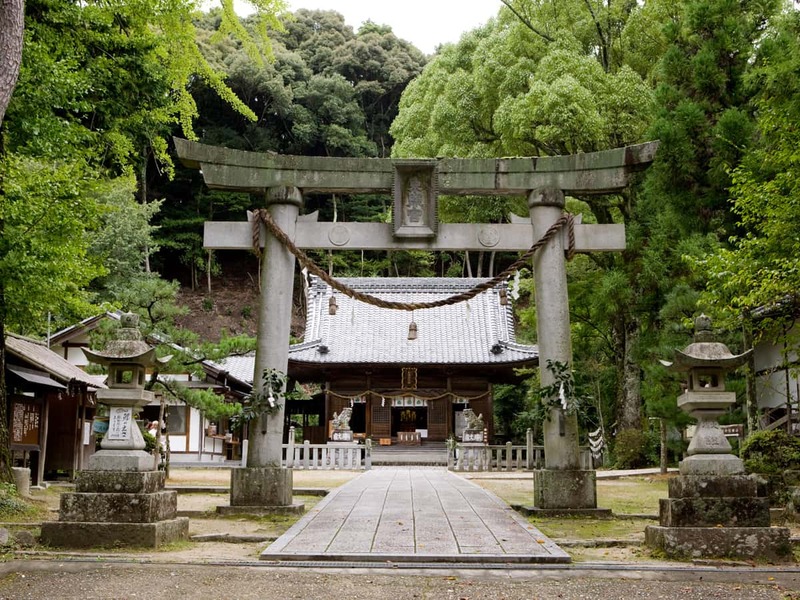 Matsudaira Toshogu Shrine, located in the town of Matsudairago, is a shrine dedicated to Tokugawa Ieyasu and Matsudaira Chikauji, the founder of the Matsudaira Clan. "Sanyu no Ido", a well said to have been used for the first bath of the newborn Ieyasu, is believed to grant long life and safe birth. Its holy water is served to visitors. The "Matsudairago-kan" next to the worship hall houses maintains many belongings of the Matsudaira Clan and Tokugawa Clan, including body armor, war fans, saddles, matchlock guns, and statues of Ieyasu. 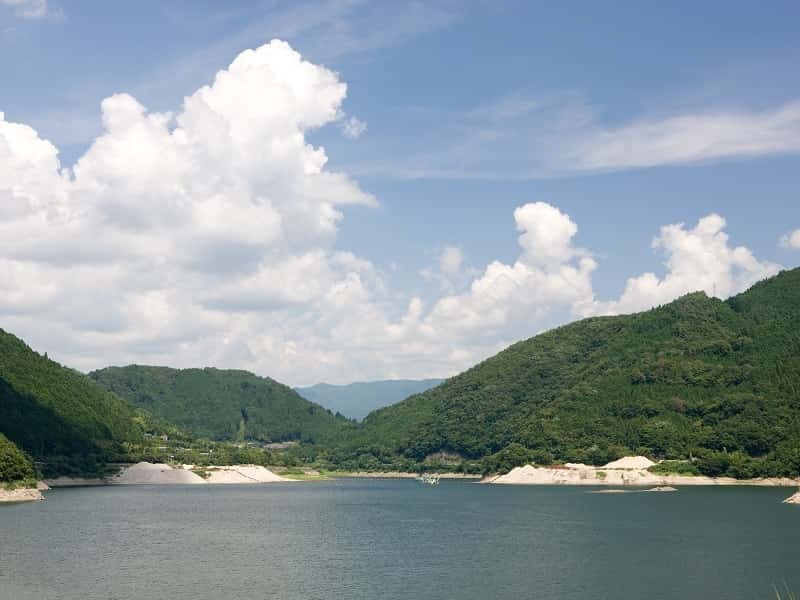 This artificial lake was created at the completion of Yahagi Dam. Along the lakefront is beautiful scenery including a driving course lined with cherry trees. The area around the lake is also a recreational spot where you can enjoy various activities in every season, such as, cherry blossom viewing, autumn leaf viewing, bass fishing, and boat rentals. You can also enjoy a refreshing ride around the dam on a bicycle. Cross over the red bridge that spans the dam for an extraordinary experience, as if you are riding on top of the water. Sanshu Asuke Yashiki is a facility known as a living local history museum. It reproduces the livelihood of farmers in mountainous regions from the late 19th century to the mid 20th century. The long gate, main building, and bamboo shop are wooden buildings with thatched roofs. Expert craftsmen make demonstrations of ten types of handicrafts commonly performed in everyday life, including charcoal making, unlacquered wood making, paper making, and loom weaving, and you can try indigo dyeing, paper making, and bamboo work yourself. 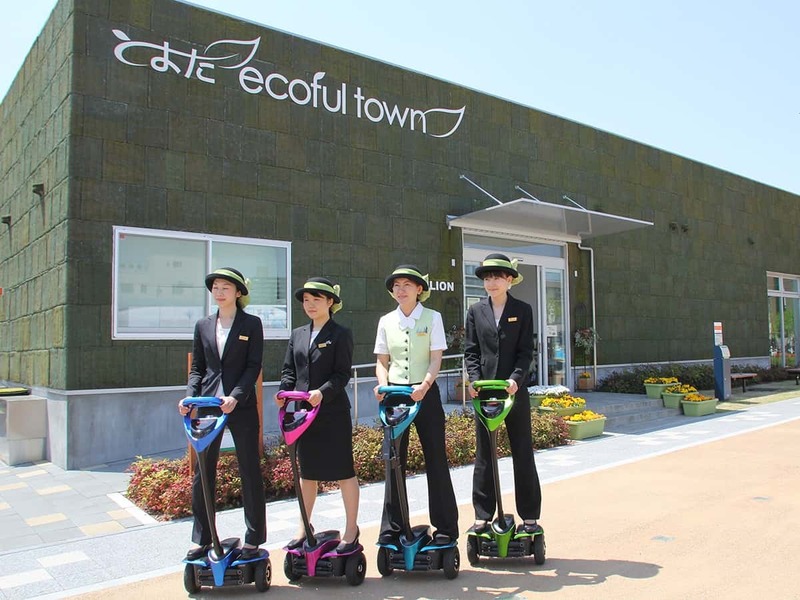 Toyota City has been selected by the Japanese government as an environmental model city. It has aggregated next generation environmental technology here, at the first facility to introduce initiatives made toward realizing a low-carbon society. Under the motto of "The Standards of Tomorrow, Today", this facility allows you to experience state-of-the-art technology in various fields, including hydrogen stations, fuel cell vehicles, micro electric vehicles, and smart houses. Many visitors come from abroad, over 200,000 visitors coming from more than 100 different countries so far. This facility consists of "Donguri no Yu", a natural hotspring with relaxing floral fragrances and the warmth of woodwork, "Donguri Yokocho", where you can enjoy fresh vegetables, fresh-baked bread, and the bounty of the mountains, as well as "Donguri Kobo", where you can experience life in mountain villages. Chewy bread made with rice flour from "Inabu, Home of Rice" is so popular that it sells out every day. Matsudairago is the home of the Matsudaira Clan, and said to be the birthplace of the Tokugawa Clan. 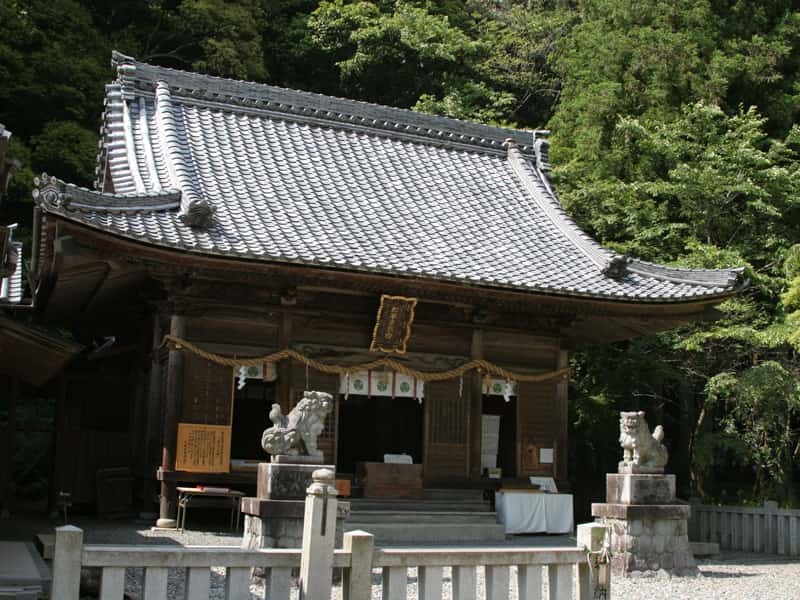 There are many historical sites related to the Matsudaira Clan, including Matsudaira Toshogu, Kogetsu-in temple which enshrines the clan founder Chikauji, and the ruins of Matsudaira Castle. Many plants grow naturally here, so you can enjoy the natural scenery in every season, such as, cherry trees in spring, irises and hydrangeas in early summer, and bush clover and maple leaves in autumn. The Asahi District, blessed with the natural clean waters from the Yahagi River and beautiful natural scenery, is known for specialties fostered by nature such as Japanese yam and sweetfish. 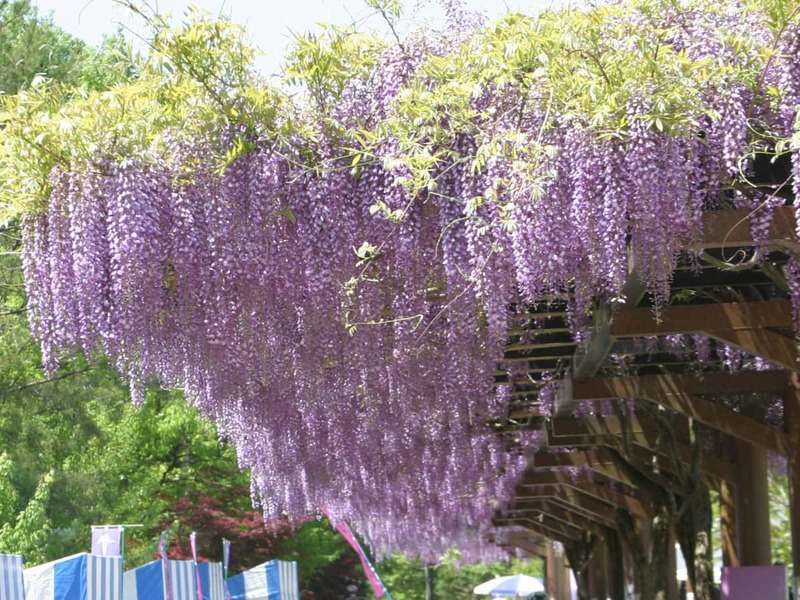 Okuyahagi Lake is a popular resort area in the nature, with many attractions in every season, like cherry, wisteria, and maple blossoms, attracting many tourists. 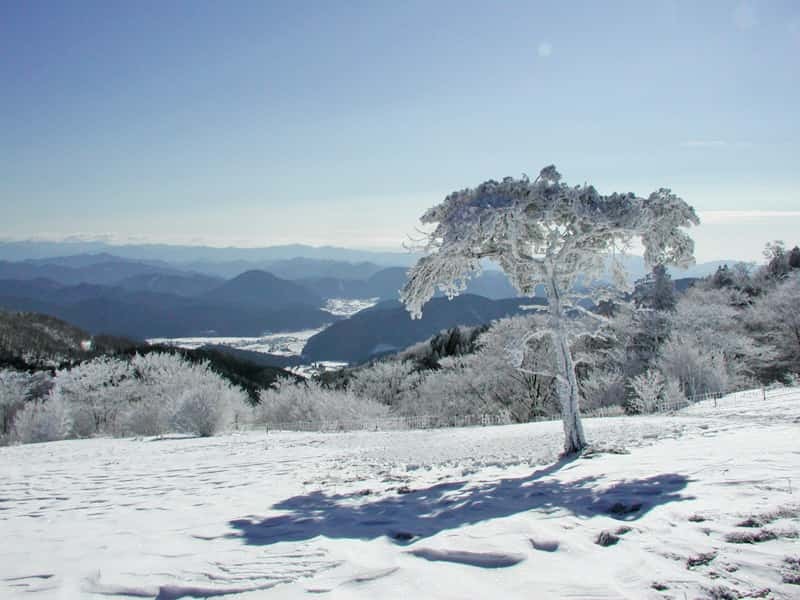 Asahi Kougen Genki Mura, located at an elevation of 650 meters above sea level, is a leisure spot where you can enjoy a wide variety of activities, including camping, barbecue, stargazing, and even skiing on the slopes in winter. Toyota is an industrial city where various manufacturing industries have gathered together, and it boasts the largest shipment value of manufactured goods in Japan. In the center of the city, there are many different spots where you can see culture, arts, and cutting edge industry first hand. Toyota Stadium is home to the J League Team Nagoya Grampus Eight. 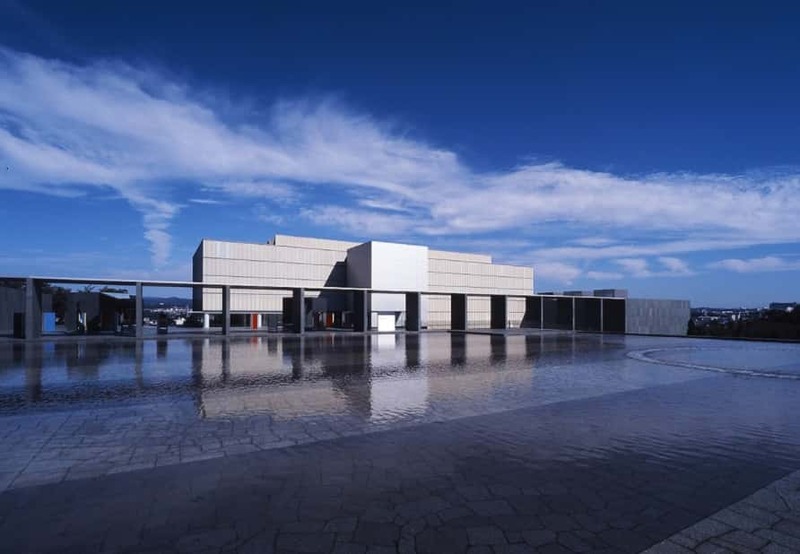 On the hill where Shichishu Castle once stood, there is the Toyota City Art Museum, with sophisticated atmosphere as if the building itself was a work of art. 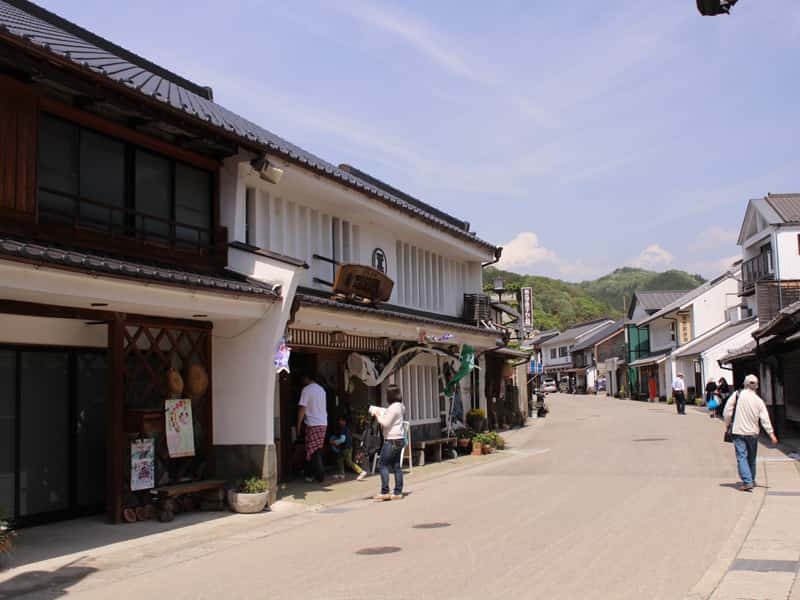 This town retains vestiges of Asuke-juku, which once prospered as a post town on the official road. 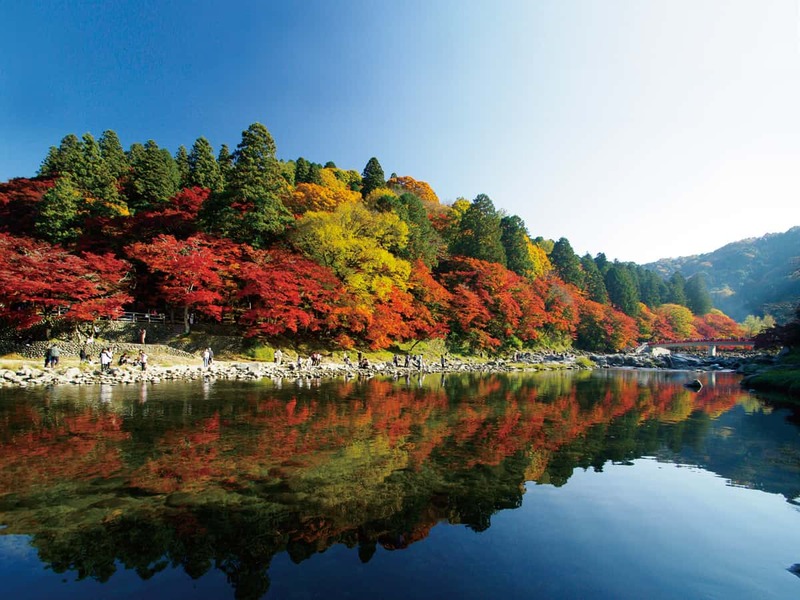 It is home to Korankei Gorge, one of the most famous spots for viewing autumn maple leaves of all Japan, making it a popular tourist destination. You can also enjoy events held throughout the town, including Chuma no Ohinasan. It is a perfect place to walk around town in every season. 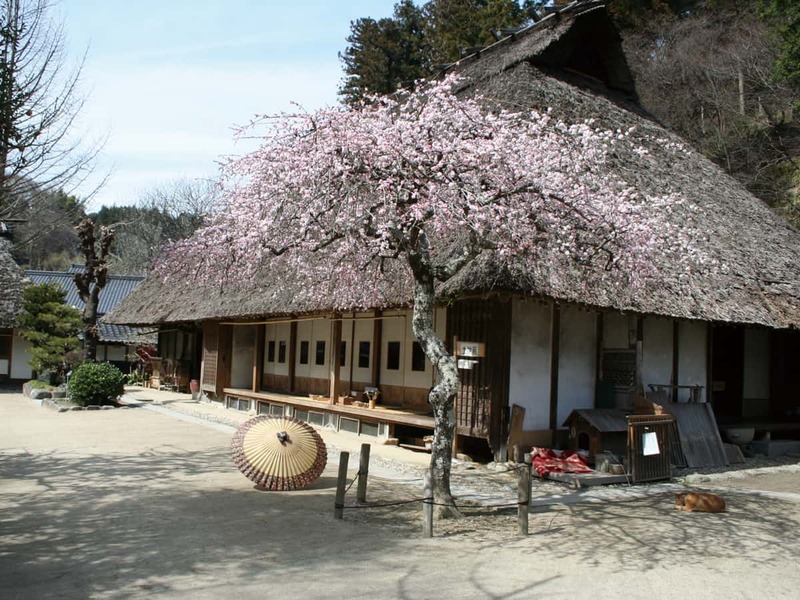 Obara is famous for the four seasons cherry blossoms and Japanese paper crafts, as well as kabuki plays, located in a cheerful and beautiful mountain village. We recommend you to take a walk and enjoy the sight of four seasons cherry trees blooming alongside maple leaves in autumn, with the mountains in the background. Obara Japanese paper uses dyed plant fiber instead of paint, painting pictures as the paper is made, and is an artisanal craft unique to the Obara District. 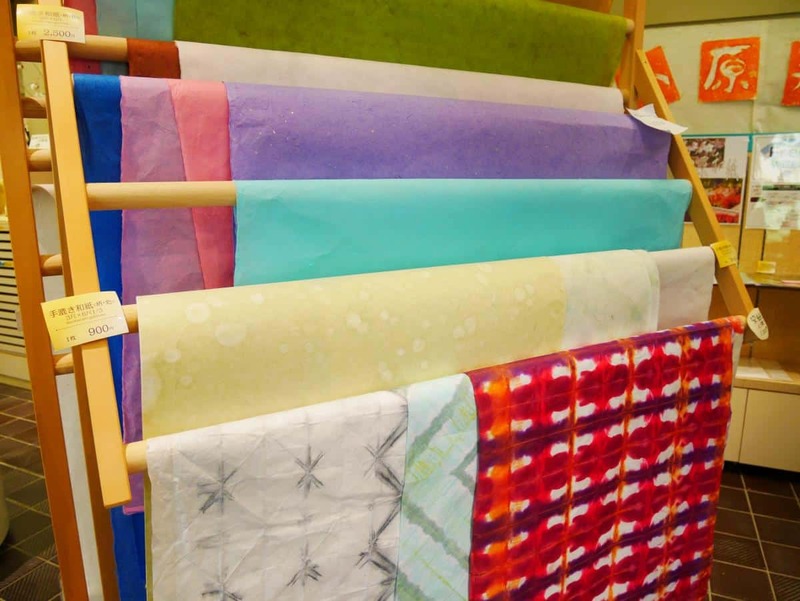 You can also experience paper production in the Obara Paper Art Museum Washi no Furusato. 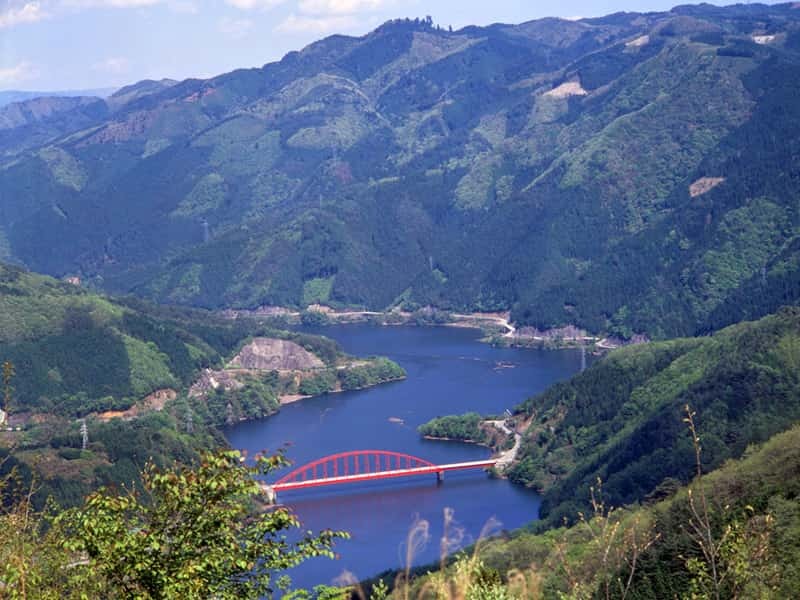 The Shimoyama District is blessed with both the bounty of the mountains and the bounty of the rivers. Mikawa Lake, the largest artificial lake for irrigation in Aichi Prefecture, is a popular scenic spot where wonderful seasonal landscapes including cherry blossoms, green foliage, and autumn leaves reflected on the surface of the water. The Seven Waterfalls of Hoden, on a tributary of the Nohara River, are breathtakingly beautiful when the maple leaves change color in the autumn. There are also places to try making sausage by hand or crafting potpourri, so you can spend a wonderful time stimulating your senses. The Inabu District is blessed with nature, as the Tenryu-Okumikawa Quasi-National Park and Aichi Kogen Quasi-National Park. In Mennoki Virgin Forest, you can enjoy nature therapy maple, fir, and hemlock, and beech trees that are over 300 years old. 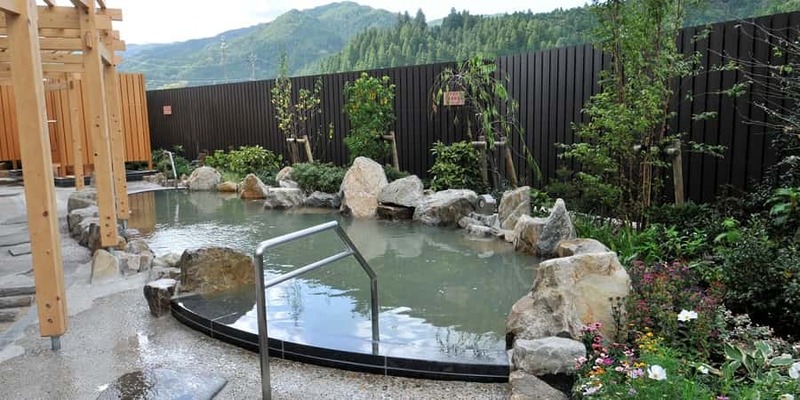 After leisurely enjoying the changes of the four seasons, like maple leaves in the autumn and white winter ice, you can relax in a natural hot spring. Toyota City is home of both a heavily industrialized and densely populated urban city and mountain villages rich in nature, history, and culture. You can enjoy seasonal changes in scenery and cuisine, like cherry and peach trees in spring, sweetfish and blueberries in summer, maple leaves in autumn, and frosticles and frozen waterfalls in winter. The city also has hot spring towns where you can relax, and typical experiences only posible in mountain village will attract you. In the mountain villages in Toyota City, various flowers like plum, peach, and cherry blossoms tell us of coming spring. You can also see precious cherry trees, including the weeping cherry tree at Zuiryu-ji Temple, which is over 370 years old and a designated natural treasure of Aichi Prefecture. The weeping cherry tree at Kogetsu-in Temple, which is said to have been hand-planted by Matsudaira Jirosaburo Motonobu (later known as Tokugawa Ieyasu). There are also nearly 3,000 gorgeous weeping peach trees in the Kaminaka-cho of the Asahi District. 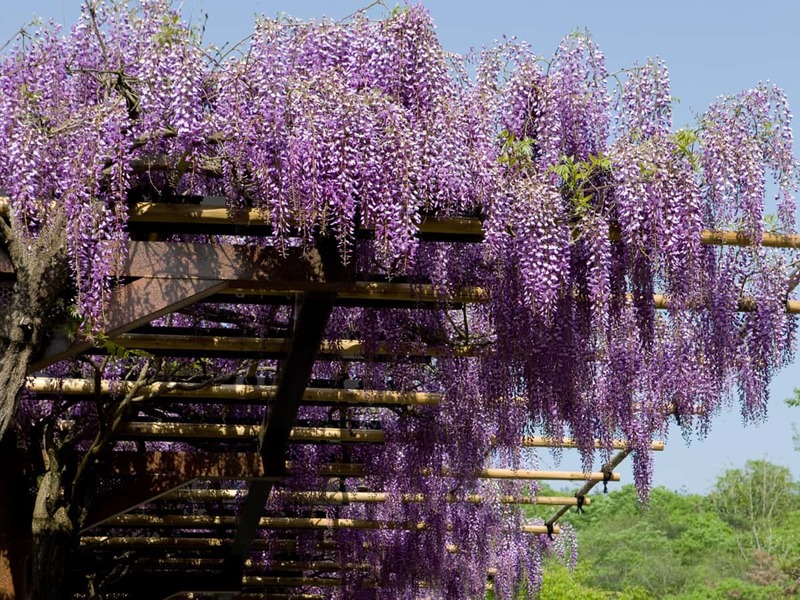 During Golden Week in May, the wisteria blooms and a "Wisteria Festival" is held in the Fujioka District, which is famous for its wisteria corridor. A common sight in the summer in Toyota City are weirs (fish traps). It is an old-fashioned method of fishing, using piles, stones, and bamboo laid from the river banks to steer the flow of the river and block the path of fish to catch them. 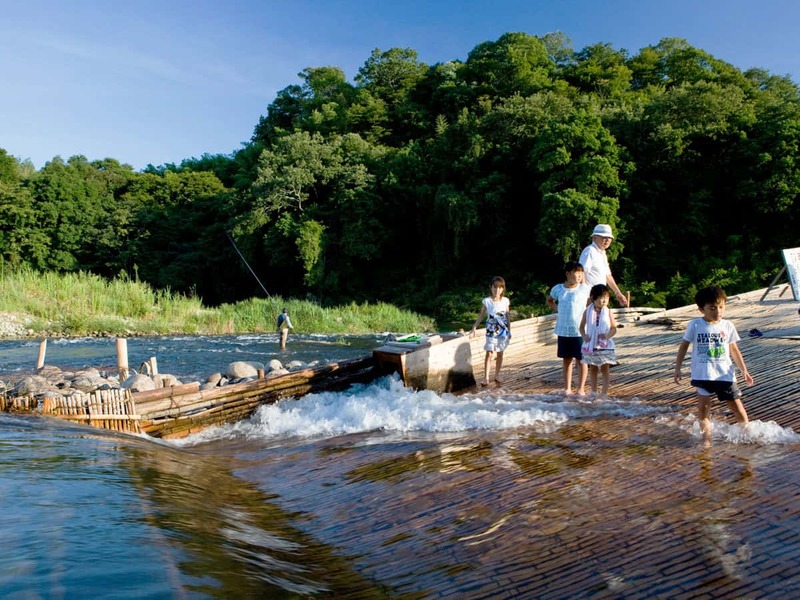 There are several sightseeing spots including "Hirose Weir", "Shirasagi Weir", and "Shimoyama Hirase Weir", where you can grill and eat fish caught in the river and enjoy barbecue, relaxing in the middle of nature. You can also enjoy picking blueberries at farms in the Inabu District from early July to early September. The two great sights of Toyota City in autumn are Koran-kei Gorge and the four seasons cherry trees of Obara. At Korankei Gorge, where you can enjoy various maple leaf scenery along the valley, there are nearly 4,000 maple trees of 11 different varieties, such as, Irohamomiji and Ohmomiji varieties of Japanese maple. 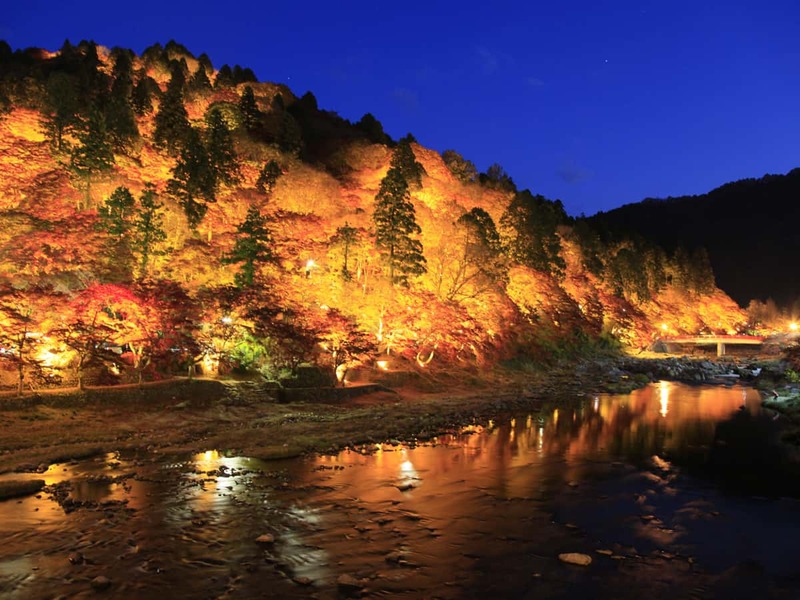 You can find different aspects to enjoy depending on time in a day, including the mirror image of maple leaves reflected on the river during the day and illumination that turns the whole mountain gold at night. 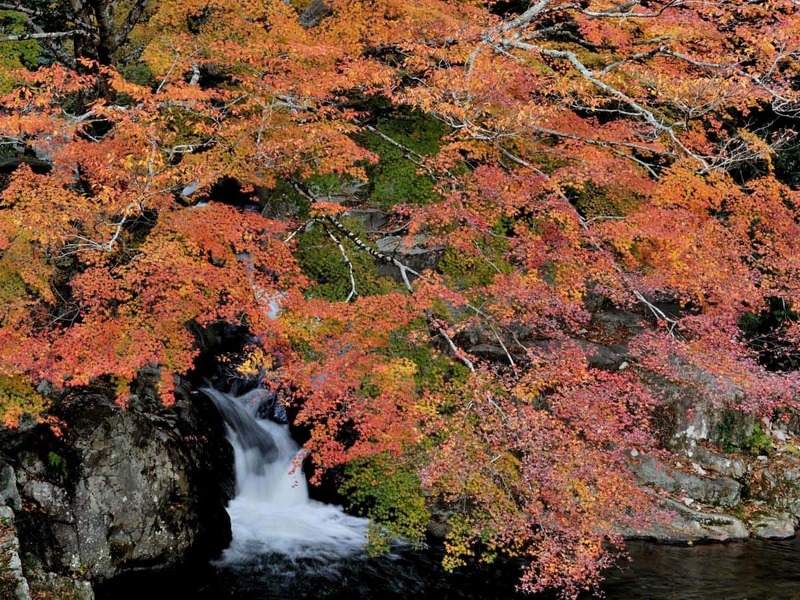 The Korankei Gorge Maple Leaves Festival is held in November when the colors reach their peak. 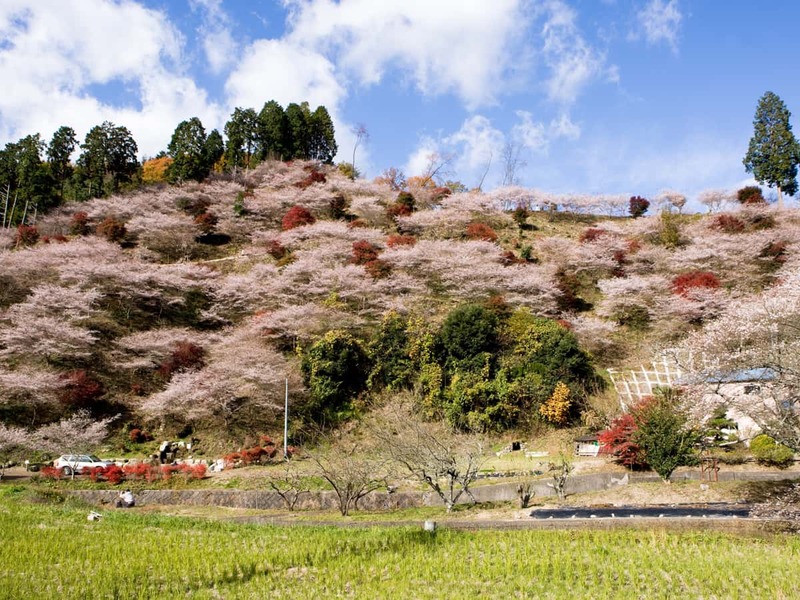 See the four seasons cherry trees of Obara bloom twice per year, in spring and autumn. The combination of four seasons cherry tree blossoms and colorful maple leaves turning the mountains to pink in whole view, make for breathtaking scenery. There is also an "Obara Four Seasons Cherry Tree Festival" held here in November. Mennoki Virgin Forest has been designated as a special protected area of the Tenryu Okumikawa Quasi-National Park, with beech trees that are over 300 years old. You can even see Mt. Fuji from the observation deck on some days. From mid December to mid February, you can see the trees turned white with fantastic frosticles. 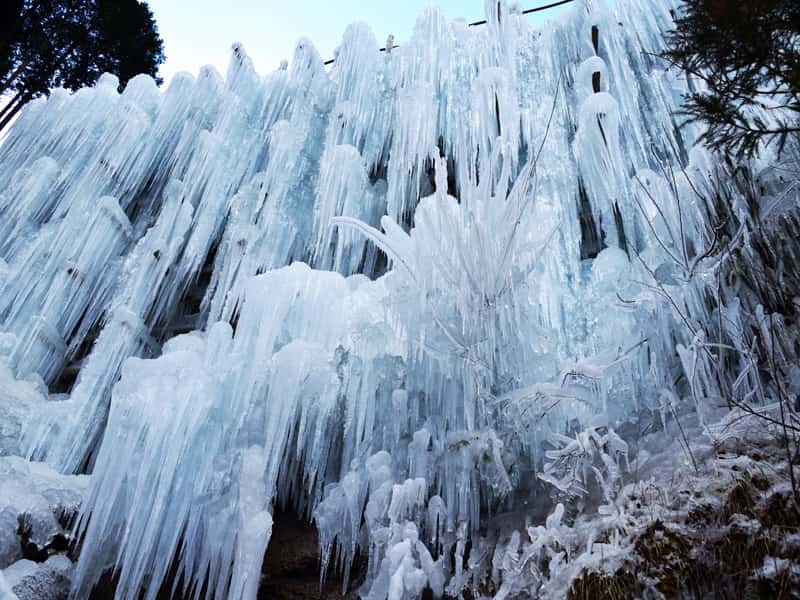 Also, massive icicles form on waterfalls near Oidaira Park (Rokurogi) in the Inabu District, and the mystical frozen waterfalls lit up at night have become quite popular (January and February).